Anyone from Southern California knows how great it is to reap the benefits of the area. From brilliant year-round sunny weather to long wavy beaches, living in SoCal is certainly not without its perks. But Southern California is more than just surf, sand, and sun, mind you. It’s home to majestic mountains only a hop, skip, and jump away which when set under the ideal conditions, is home to great local ski and snowboard options. As any driver who has navigated driving in the mountain roads during the snowy winter months can attest, it takes some adjustment and can seem intimidating. Your best bet against unsafe conditions is a firm defense. Have your vehicle sized and ready for traction tires if possible, either as studded snow or ice tires. Having an 4WD or AWD vehicle equipped with snow tires are satisfactory for most situations. Carry properly fitted snow chains and practice putting them on! It is always good to have a first-aid/emergency kit in your car at all times for any type of weather. Take your time. It’s hard to say given our hectic lives in traffic but there’s no point in rushing up (or down) the mountain if there is snow on the road. Black ice is not imaginary and does exist. If paired with faster speeds, it poses a huge hazard for control loss. If you hit a slick patch and you lose traction (in your tires), resist the urge to hit the brakes to slow your vehicle. Locking out your tires can cause your back-end to swing around, causing a fishtail. Instead, focus on slow, smooth adjustments with the steering wheel to guide your momentum back straight. Make sure you turn the wheel in the opposite direction of your fishtail and do not overcorrect. It is wiser to give yourself plenty of space between yourself and the car in front of you and make sure you shift into a lower gear during descents. We’ve said it before and we’ll say it again: Take your time! The mountain isn’t going anywhere, so don’t rush up or down. It creates a headache and a hazard that no one needs. 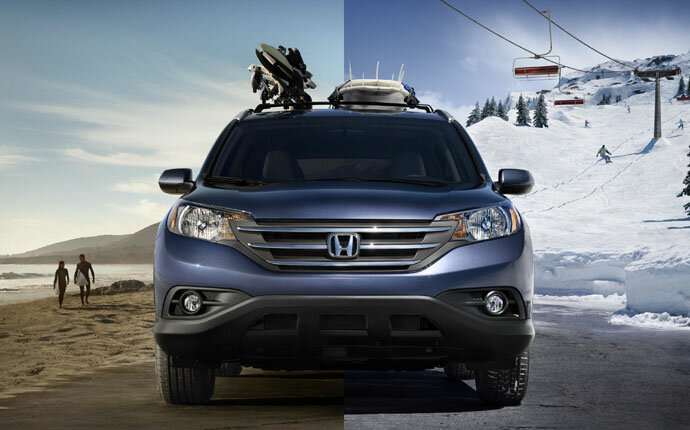 For more details on how you can get your Honda ready for the upcoming snow season in Southern California, head to Airport Marina Honda and get your snow kicks today!